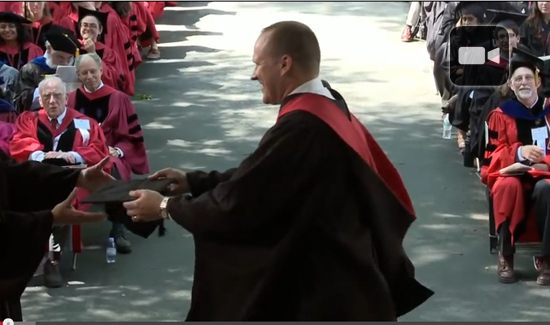 Watch this Harvard commencement speech by Jon Murad, a sergeant with the NYPD. He was better than Oprah – the keynote speaker at the Harvard graduation 2013. Jon is now assigned to NYPD Headquarters – 1 Police Plaza, NYC. Cops have to get out there and give similar speeches in every forum possible. Best possible PR for the profession. A very inspiring speech. A cop with two Harvard degrees-Wow!